There’s nothing worse than losing the remote. With our Sky remote control selection you can find the right replacement with ease, or upgrade to a higher-spec remote for even more power at your fingertips. All of our Sky remote controls allow you to control up to two devices at once, so you can adjust both your basic TV settings and your Sky, Sky+ or Sky+HD box. 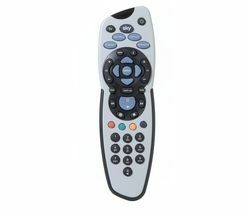 Our Sky remotes are incredibly easy to use, with intuitive layouts and large, comfortable rounded buttons. Each Sky remote gives you instant access to the things you really want at the single touch of a button, including your TV guide, Sky box office, interactive functions and Sky settings. Higher-spec Sky remote control models like the Sky+ HD 1TB Remote Control give you added extra benefits to make your viewing even more pleasurable. You can view menus, adjust tuning, move channels up and down, and save your favourite shows to a favourites list in seconds. 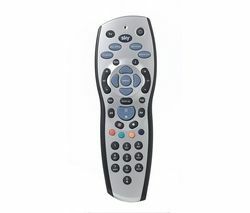 Its memory retention is permanent so you'll never need to re-programme your remote once you've set it up. Control your Sky box and enjoy TV at its best with an easy-to-use Sky remote. Get even more from your Sky viewing experience with our range of passive 3D glasses, and there are more gadgets to be found in our collection of TV accessories.